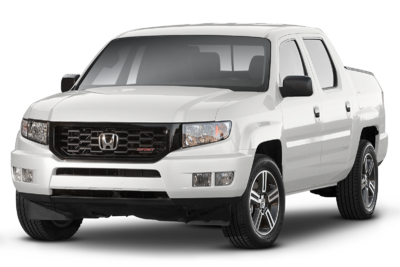 The 2014 Honda Ridgeline is number 10 in our list for Best AWD Pickup Trucks. The 2014 Ridgeline achieves a combined MPG figure of 17. The Ridgeline received an overall safety rating of 5 of 5 stars from the National Highway Traffic Safety Administration. Take a look below to find the Ridgeline in your area that suits you best! 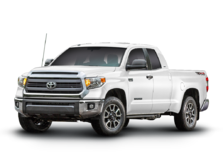 Ranking ninth for Best AWD Pickup Trucks is the 2017 Toyota Tacoma. Fuel economy is rated at 20 MPG combined. The Tacoma received an overall safety rating of 5 of 5 stars from the National Highway Traffic Safety Administration. Scroll down to see what's available in your area right now. Ranking eigth for Best AWD Pickup Trucks is the 2014 Ford F-150. Fuel economy is rated at 16 MPG combined. This model earns the highest possible safety rating - 5 out of 5 stars. This score is achieved by aggregating available industry crash test data from NHTSA and IIHS. Scroll down to see available inventory for 2014 F-150s in your area. The 2016 GMC Canyon ranks seventh for Best AWD Pickup Trucks. Fuel economy is rated at 22 MPG combined. The Canyon received an overall safety rating of 5 of 5 stars from the National Highway Traffic Safety Administration. Take a look below to find the Canyon in your area that suits you best! Slotting in at sixth for Best AWD Pickup Trucks is the 2011 Ford Ranger. The 2011 Ranger achieves a combined MPG figure of 17. The Ranger received an overall safety rating of 2 of 5 stars from the National Highway Traffic Safety Administration. Take a look below to find the Ranger in your area that suits you best! 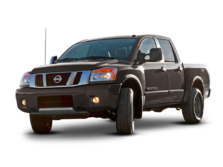 The 2017 Nissan Titan ranks fifth for Best AWD Pickup Trucks. The 2017 Titan achieves a combined MPG figure of 18. This model earns the highest possible safety rating - 5 out of 5 stars. This score is achieved by aggregating available industry crash test data from NHTSA and IIHS. Scroll down to see what's available in your area right now. The 2015 GMC Sierra 1500 is number 4 in our list for Best AWD Pickup Trucks. The 2015 Sierra 1500 achieves a combined MPG figure of 18. The Sierra 1500 received an overall safety rating of 5 of 5 stars from the National Highway Traffic Safety Administration. Take a look below to find the Sierra 1500 in your area that suits you best! Coming in at number 3 in our list of Best AWD Pickup Trucks is the 2014 Chevrolet Silverado 1500. 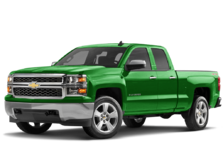 The 2014 Silverado 1500 achieves a combined MPG figure of 18. This model earns the highest possible safety rating - 5 out of 5 stars. This score is achieved by aggregating available industry crash test data from NHTSA and IIHS. Scroll down to see what's available in your area right now. Coming in at number 2 in our list of Best AWD Pickup Trucks is the 2016 Chevrolet Colorado. Fuel economy is rated at 22 MPG combined. The Colorado received an overall safety rating of 5 of 5 stars from the National Highway Traffic Safety Administration. Scroll down to see what inventory is available in your area - hurry, before these great deals sell out! The 2015 RAM Ram Pickup 1500 ranks first for Best AWD Pickup Trucks. The 2015 Ram Pickup 1500 achieves a combined MPG figure of 19. The Ram Pickup 1500 received an overall safety rating of 4 of 5 stars from the National Highway Traffic Safety Administration. Scroll down to see what's available in your area right now.